Thread by @SarahTaber_bww: "The Southern labor movement has a long, successful, & noisy history. The reason you don't hear about it? It doesn't fit the image of the […]"
The Southern labor movement has a long, successful, & noisy history. The reason you don't hear about it? It doesn't fit the image of the South as backwards & obedient to its masters. Labor activism has been sold as all about white guys in northern factories and it's just NOT. Textile mills in NC were the site of some of the largest strikes in US history. Loray Mills in 1929: strikes fizzled after key organizers were murdered. But they set the stage for ramped-up labor activism & victories across the entire US. You're welcome! High Point in 1932: 15,000 textile workers walked off the job. Remarkably, there was no union or formal organizing involved in these strikes. WILDCAT STRIKE. FIFTEEN. THOUSAND. PEOPLE. It goes way back further than the 1920s & '30s. Pissed-off mill workers stabbing their bosses in the back played a big part in taking down the Confederacy's economy. That's just a brief taste of "traditional" labor activism (as defined by the North), aka white men (or "enough" white men) in manufacturing. There's a looooot more to working-class activism than white guys in factories. And the South is really good at that too. Black farmers & farmworkers formed their own co-ops and unions to protect themselves against ex-slaveowners during Reconstruction, because the gov't & even most white labor orgs wouldn't do anything about Jim Crow-era landlords. A biracial coalition of socialist sharecroppers formed the Southern Tenant Farmers Union in Arkansas in 1934. 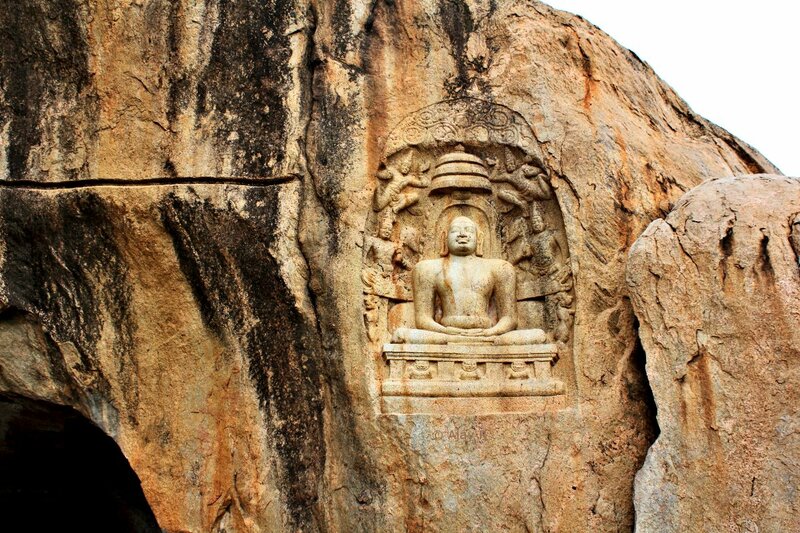 Its leaders were harassed, attacked, and many ultimately killed. Fannie Lou Hamer, one of the most badass organizers of all time, started out as a sharecropper in Mississippi. It was her work that tipped the Democratic Party from its century-plus tradition of support for slavery & segregation, into the party of civil rights that it is today. After winning the battle for the Civil Rights Act, Fannie Lou Hamer turned her work back to farm organizing. She raised money & bought land for black folks to do independent, cooperative farming- right in the heart of the Mississippi Delta. It's not the traditional factory-centered labor organizing that folks usually think of. But Fannie Lou Hamer's work in cooperative farming was all about working-class power and breaking the grip of the planter class. Folks are used to thinking of Martin Luther King Jr as a voting rights guy. But like Fannie Lou Hamer & most black activists of his time, he saw voting rights as just one issue facing black folks- and economic issues were also huge. Hence, the Poor People's Campaign. The Civil Rights movement WAS a labor movement. Why were voting rights so important in the first place? In large part, to secure better labor conditions for black and working class Americans in the South. We're also used to looking back on the Civil Rights Movement with these rose-colored glasses, because we're retroactively decided that MLK was a Nice Black. Not militant like that Malcolm X guy. Which is hilarious, bc back when MLK was actually alive, capitalists & white folks in general were TERRIFIED of him. He & other civil rights leaders hung out with a lot of Communists. A lot of them WERE Communists. Because the Civil Rights Movement was a labor movement. Bottom line, there's a reason the Jim Crow South was a reign of terror. It was to keep wages down. The South wasn't a backwards, underdeveloped, proto-modern regime waiting to become a fully capitalist society. It WAS a fully capitalist society. That's what MLK was up against. So: if folks are looking for "an example of Southern labor activism," a great place to start would be THE ENTIRE GOTDANG CIVIL RIGHTS MOVEMENT. The Civil Rights movement is the prototype for activism that we're still using today. It's the reason that the modern, mainstream US protest customs revolve around peaceful marches, civil disobedience, and getting arrested on purpose. In other words: modern US protest culture WAS BORN IN SOUTHERN LABOR ACTIVISM. Southern labor activism doesn't look like "traditional" labor activism because it's very black. It was, and still is, led by Black women and men. And white labor activism has a long-standing blind spot with recognizing Black labor organizers' work or existence. That's why it's so incredibly tacky for northern progressives to sneer at the South for being backwards. There's a TON of progressive activity down here. White northern progressives don't see it because they're too damn racist to notice Black activism right in front of them. It takes a lot of mental gymnastics to just … miss that. is news to you, take some time to do some reading! This thread's got some links. Start there, & keep going. Prepacking for #2018SHA! 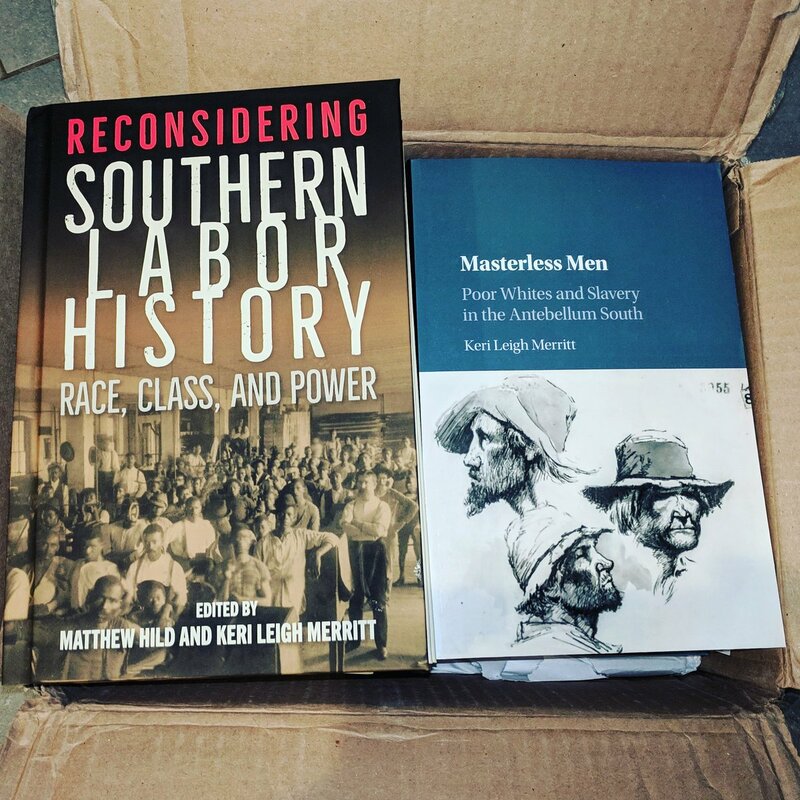 Lemme know if you want a signed copy of #MasterlessMen, & we'll have a #giveaway of Reconsidering Southern Labor History at the Duke/UNC/@SouthernLaborSA reception! 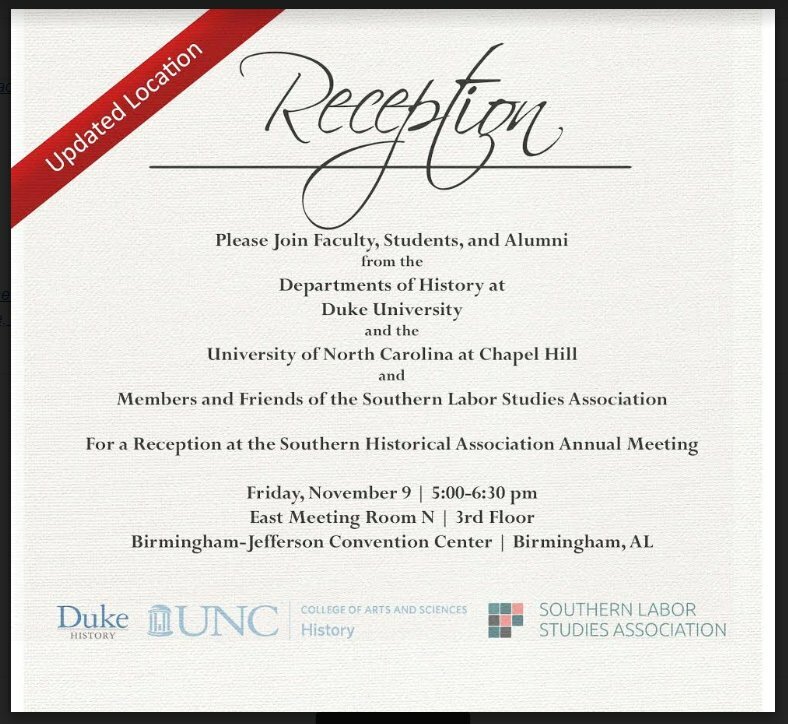 Y'all please come join us for a @SouthernLaborSA reception, co-sponsored with Duke & UNC, Friday Nov. 9 at 5 pm. We'll have a Reconsidering Southern Labor History book #giveaway! 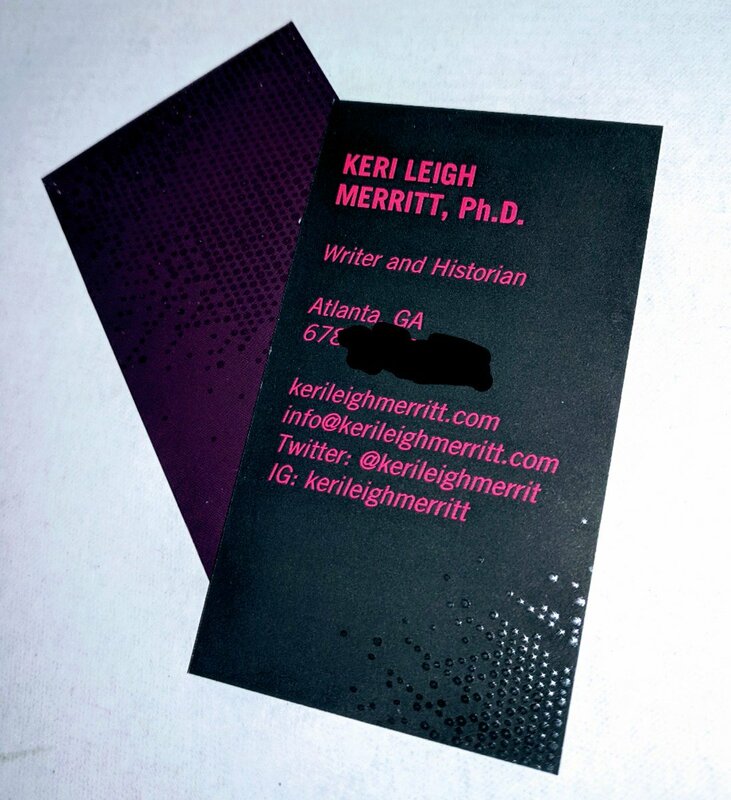 And please ask your library to order a copy of Reconsidering Southern Labor History today! History Lesson Time. The moral of the story I'm about to tell you is this is: the Supreme Court will not save society from itself, and, no, packing it with the "right" weapons will not bring your enemies to heel, or help you declare law. By 1873-75, the abolitionist Republicans had, for all intents and purposes, won EVERYTHING. Not just the Civil War. They shut Johnson's presidency down. They got Reconstruction & Amendments XIII-XV passed. AND they had a 8-1 SCOTUS. The Supreme Court in 1873 had 5 judges appointed by Lincoln, 3 judges appointed by Grant, & one layover D from Buchanan (Clifford). All except Clifford were former Whigs and Free Soil-ers. That is a packed Court if ever there was one. 2) In 1952, Dad was among the first handful of blacks to become Baltimore City firefighters. In spite of humiliating racist working conditions, Dad won “Firefighter of the Year” two times. He was Baltimore’s first black paramedic and first black Fire Department Chaplin. 1/21. More than R1 Billion of Your Tax Money was used on a project(IFMS) that was never implemented at Treasury between 2005 and 2017. 2/21. We Are Yet To See Attention Given To The Story Of Two White Senior Staff Members At UJ Accused Of Stealing Millions. 3/21. Less Than 3% Of Procument At SAA Goes To Black Owned Companies.